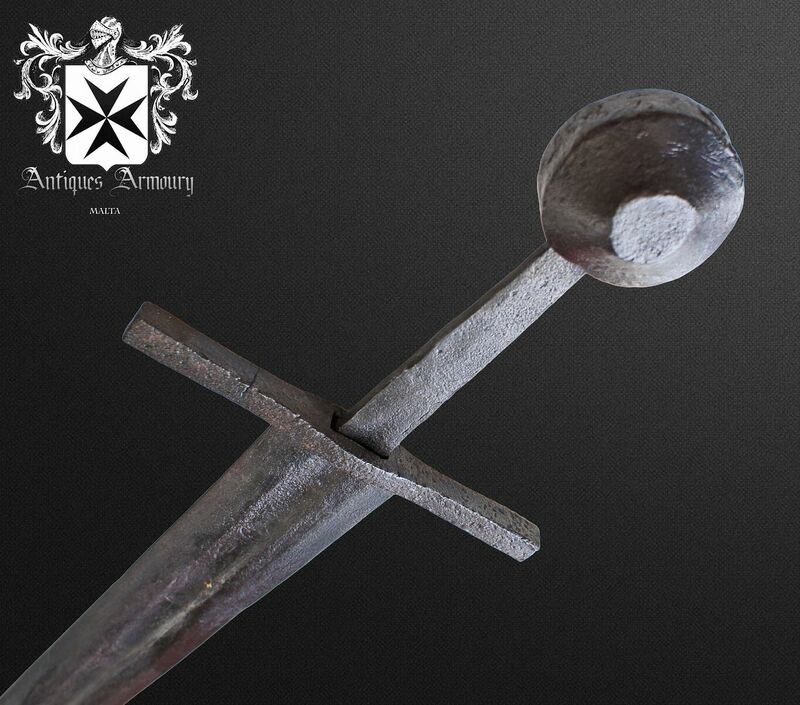 These swords are super rare when they are in a fine state of preservation and also having maker markings. 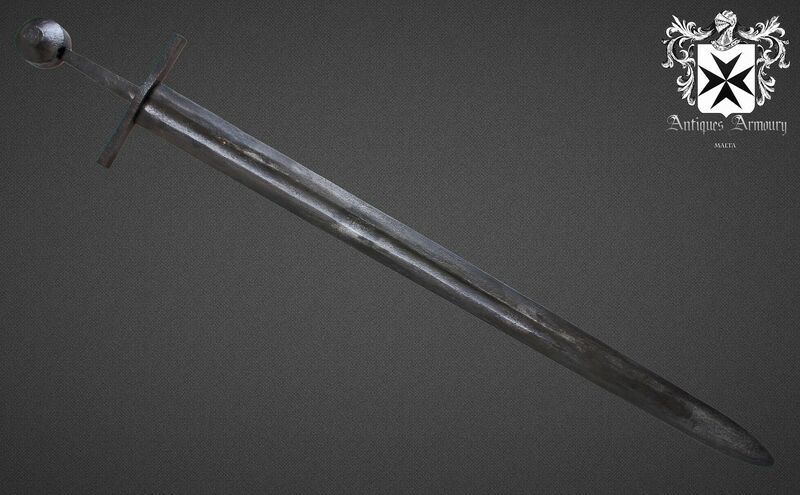 Most swords are recovered from the earth and rivers and are simple skeletons. 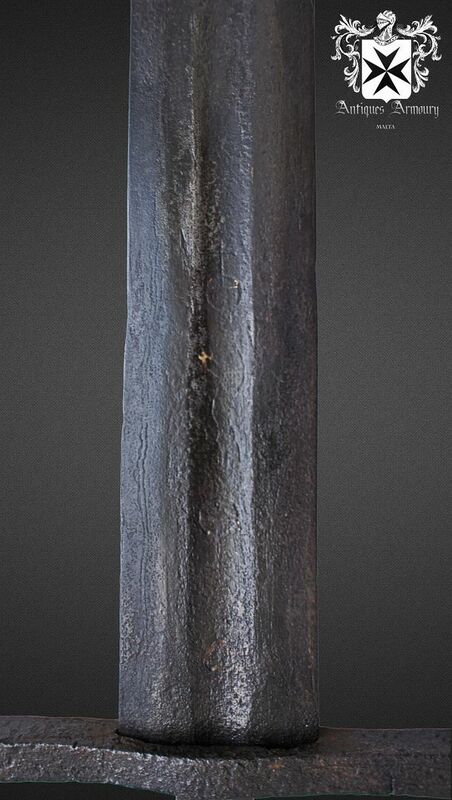 This particular sword has all original parts. 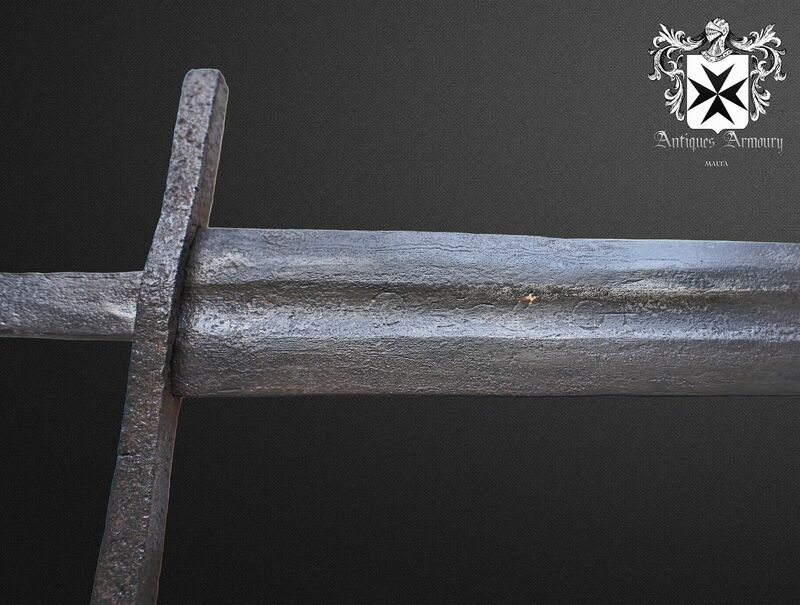 The hilt has the exposed tang measuring 11 cm and the cross style guard measure app 18.5 cm. The guard can slide up and down the tang due to the handle not being present. The sword blade and pommel are perfectly fitted with no looseness or wobble present. 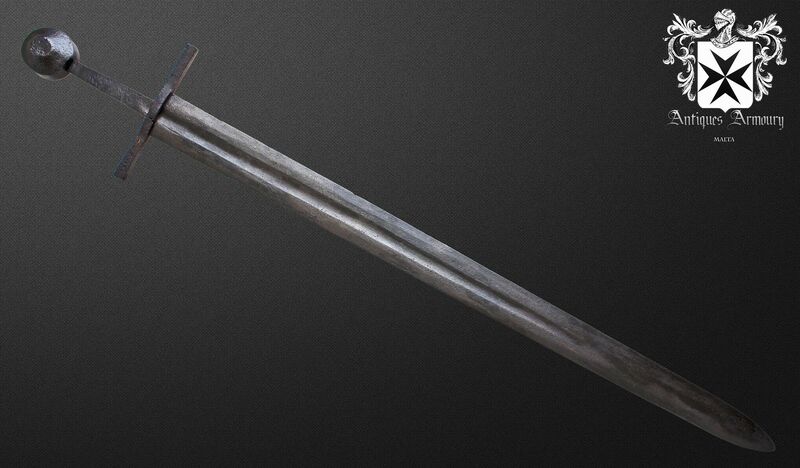 A large rounded pommel fits perfectly on the sword also making it a very effective counter balance. With a weight of 1.64 kg it is perfectly balanced and maneuverable in your hand. The blade width is 5.8 cm blade with a single fuller on either side running 3/4 of the blade. 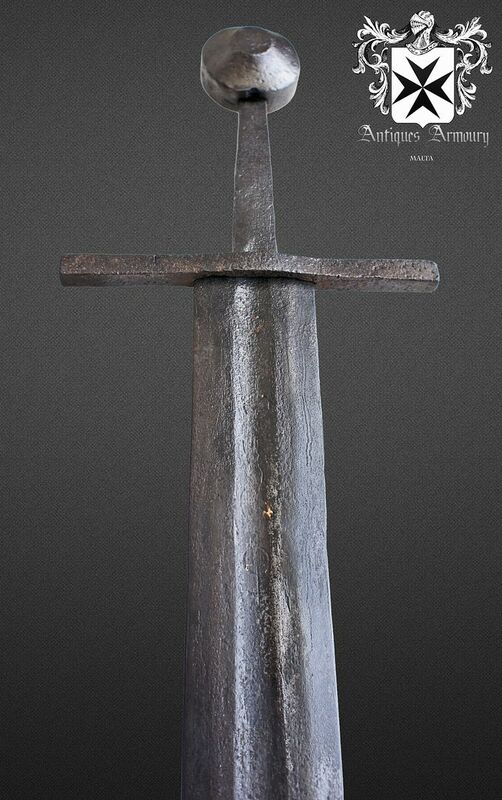 The blade also has several marking on one side in the fuller. These include a heart, two cross and orb marking and a marking in the middle of the two which has since faded. These seem to have some gold or copper metal gilded in the groves. 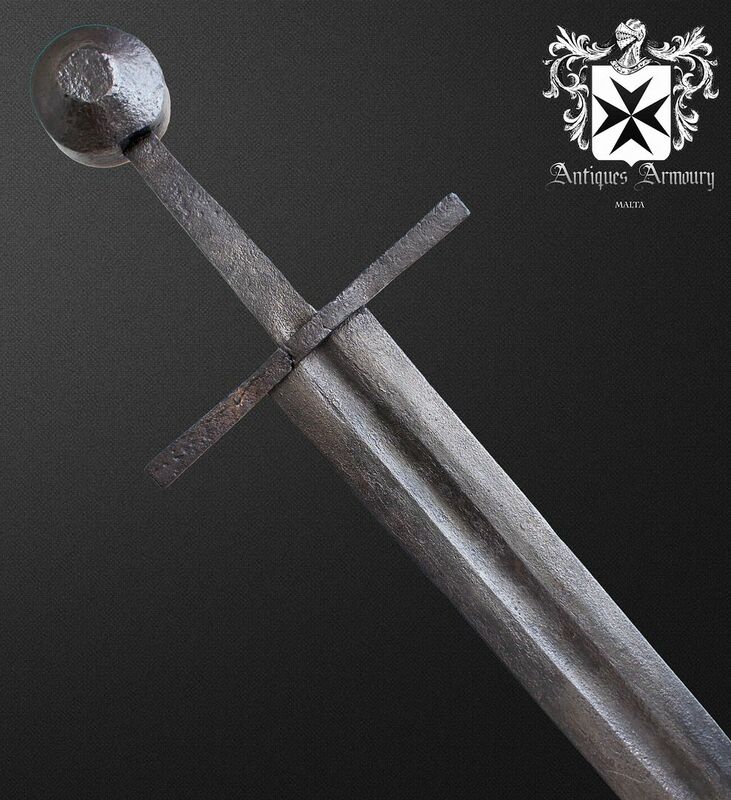 The orb and cross is attributed to sword smiths in Germany.